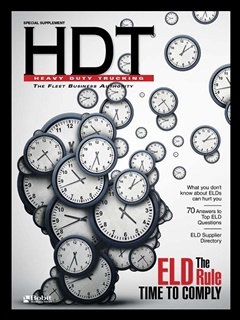 The electronic logging device mandate, effective on Dec. 18, 2017, requires most carriers and drivers to convert from using paper logs or logging software to a registered ELD if they do not have an automatic on-board recording device in use. We’ve endeavored to find answers to the most common questions that arise, starting with the basics in this supplement. For a PDF of the supplement, click here.